It appears that Shahrukh Khan is now more popular than Aamir Khan and Salman Khan on Twitter. 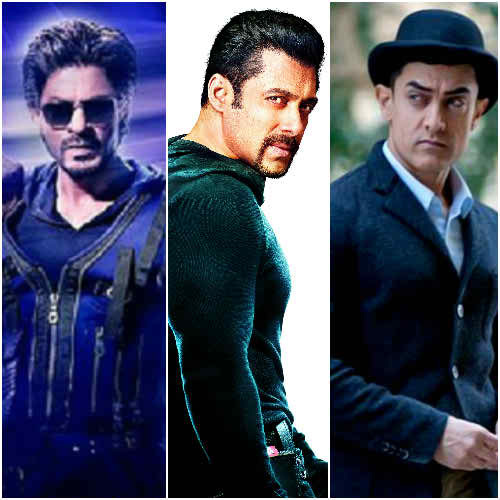 Shahrukh Khan, Salman Khan and Aamir Khan are a couple of the most popular actors around and, with each passing day, their popularity is increasing. That means their popularity is also increasing on social media networks like Facebook, Twitter etc. According to the latest news, Shahrukh Khan reached up to 10 million fans on Twitter but less than Amitabh Bachchan. On the other hand, Aamir Khan has dominated the box office with his hit movies. But Salman Khan has been getting one hit movie after the other and it is Shahrukh Khan who is now more popular than Salman Khan and Aamir Khan in the twitter race. According to a survey, Shahrukh Khan has crossed almost 10 million fans on Twitter and his fans are increasing day by day. Moreover, in terms of fans, Amitabh Bachchan has more fans around 1.5 million as compared to Shahrukh Khan. On Twitter, Salman Khan has the fans of 9.17 million and Aamir Khan has 9.57 million fans. If we talk about history, Aamir Khan joined Twitter in the year of 2009. Shahrukh Khan joined Twitter in the year of 2010. Salman Khan joined Twitter in April 2010. So the statistics shows that Shahrukh Khan has least period of joining Twitter but he has more number of fans as compared to other Khans. On the whole after sharing that Shahrukh Khan is more popular than Aamir Khan and Salman Khan on twitter it is easy to conclude that all the Khan actors have own popularity and craze.